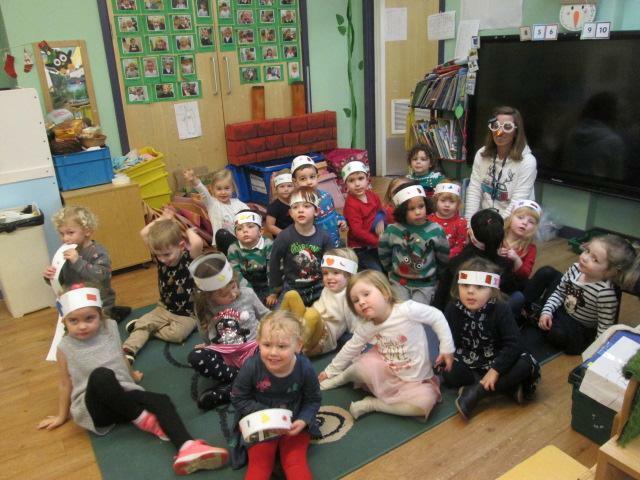 During the last week of the Autumn Term we had lots of fun celebrating Christmas within Nursery. 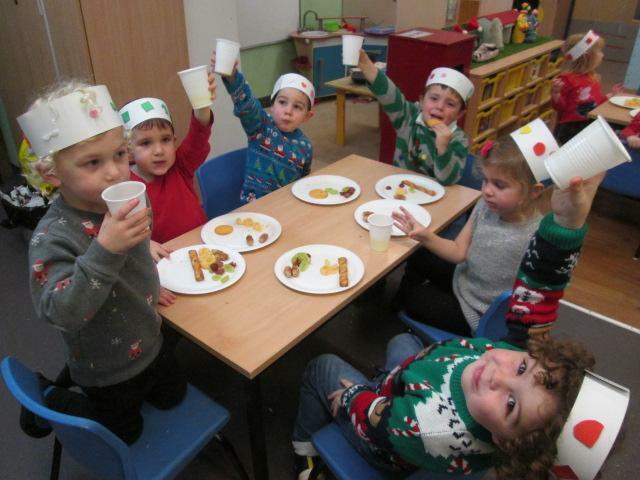 We had a Christmas party day with lots of party games and dancing. 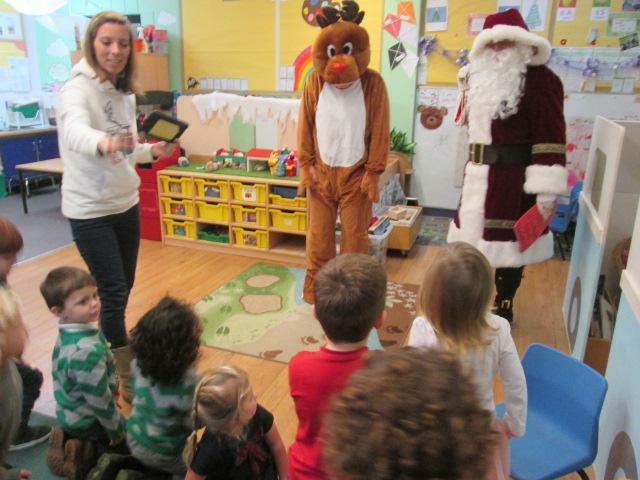 Just before lunch we even had a special visit from Father Christmas and his reindeer Rudolf. He read us all the special story 'Twas the Night before Christmas' and then gave us a special present. 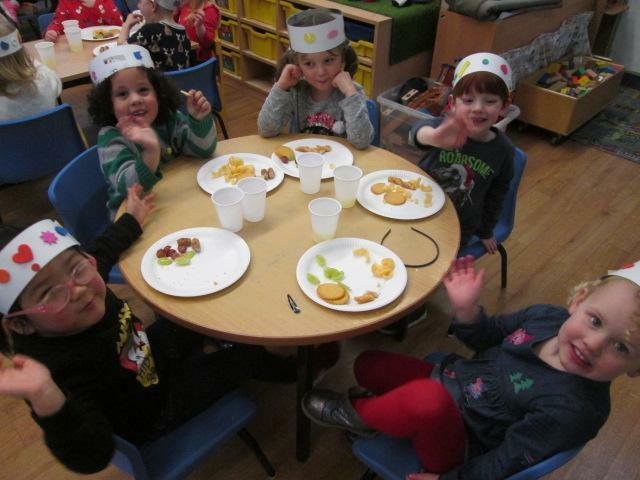 At the end of the day we enjoyed lots of food with our friends and wore our party crowns that we made and decorated. 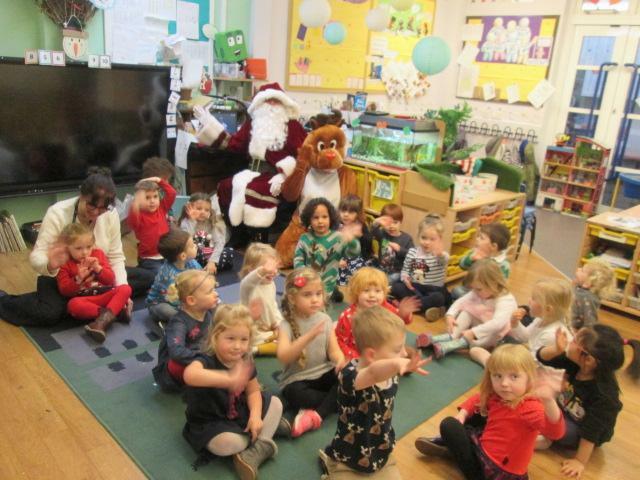 We have had a FANTASTIC first term in Nursery! 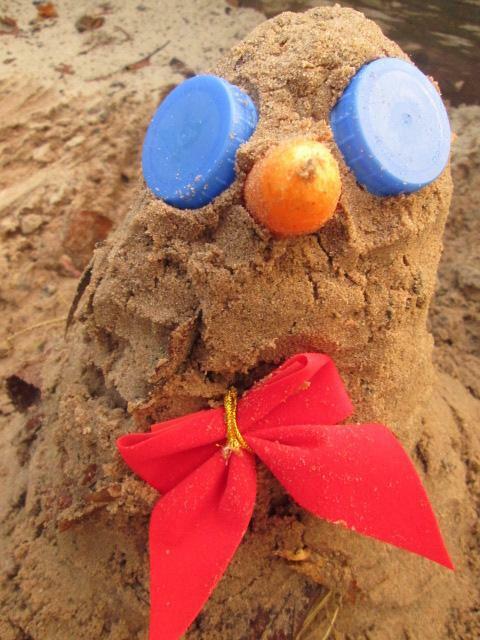 We even had a go at making snowmen out of sand - it was great fun!